Tired of paying rent? Thinking of selling? Let us show you what to expect and how to make it happen. We have our finger on the pulse of the ever changing housing market throughout Northern Virginia, suburban Maryland and in Washington, DC. Whether it's buying or selling real estate, we will provide you with direction every step of the way. Are you a 1st time home buyer and don't know where to start? Are you a current homeowner looking to move up or downsize? Today's real estate market demands the attention of highly experienced and knowledgeable professionals to guide you through the intricate steps of buying a home or selling your present property. Join us at one of our upcoming Home Seller and Home Buyer Workshops. 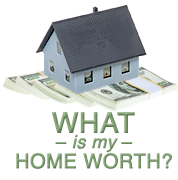 Thinking of selling and facing a short sale or foreclosure? We can coordinate and represent you in negotiations with your lender and give you current information on sales in your neighborhood to refinance. When you are ready to either buy your next home or sell your current property, just call or email me to get on the right path! I've used Dorry and her team twice to list and sell two of my condos. I strongly recommend Dorry. Her expertise will ensure you will be 100% satisfied with the experience. If you want a REALTOR® who is going to work hard for you, then Dorry and her team are it. She is a very knowledgeable and honest realtor that puts your best interest first.